Tips for stress management, gardening, growing your own food, vegetarian cooking, and keeping our bodies healthy. 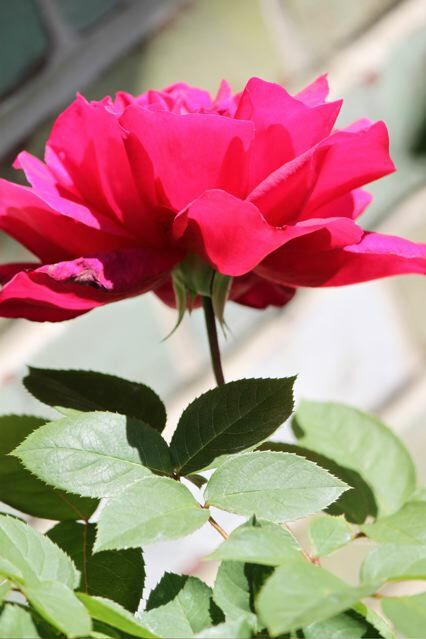 A large fragrant red rose was the first to bloom in my rose garden this year. 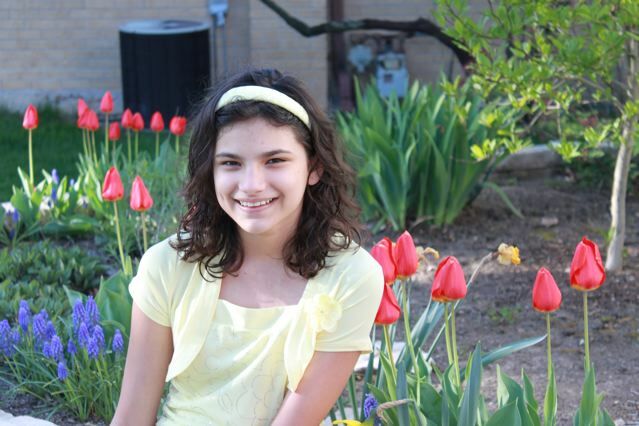 In honor of Earth Day and her 12th birthday, this week’s blog is written by our daughter Nandini. Last April at 11 years old she began fundraising to build clean water wells for kids in remote villages. This is her second year and today she shares her story of the Well India Project. Nandini is on her way to raising $10,000 to build wells for kids who need it most. Join me in giving the gift of clean water to people who need it most! Hi! My name is Nandini and I am celebrating my 12th birthday this month and you can help me give the gift of water. Creating New Communities: Spring flowers, tropical fish tanks, and new church starts. 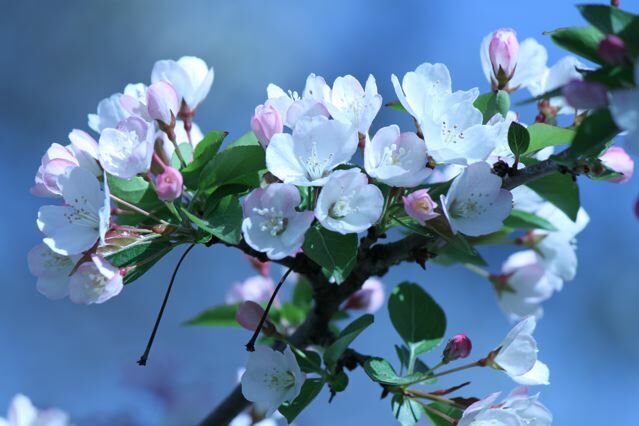 A community of blossoms on a tree signal the beginning of spring. Spring inspires us to take on new Adventures. A day's harvest from our garden. I get this question all the time. Long after I became vegetarian, a memory from my childhood surfaced. It is a surprising story about Sundays on my grandfather’s farm. 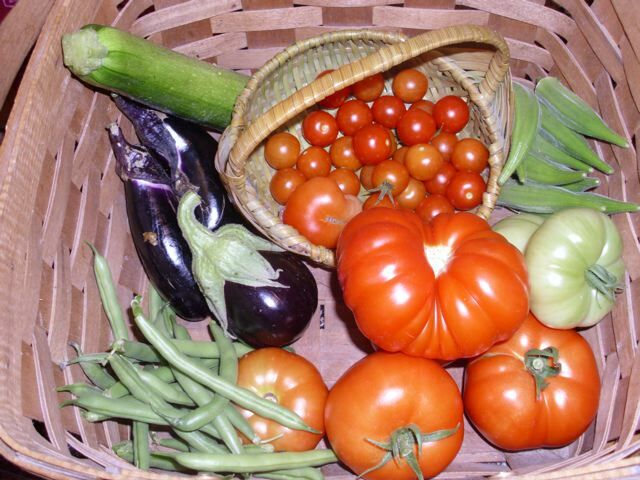 I know that my love of vegetable gardens comes from my dad and grandpa. Every year we plant a garden at my home. This past year, during the heat of August when the tomatoes were fresh off the vine, I wrote this short story at a Spiritual Women’s Writing Retreat. I share it to you below. 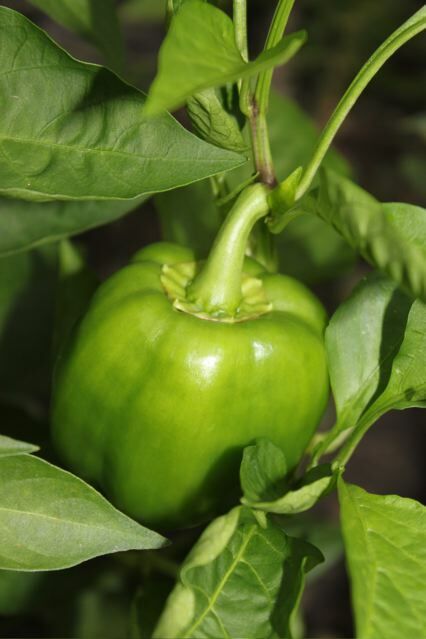 A Green Pepper on the vine from our garden. 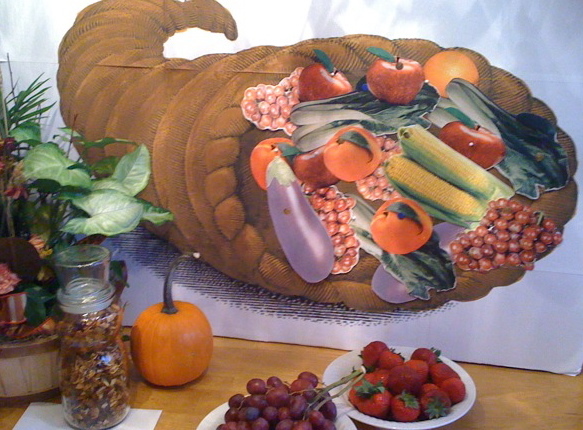 Some of my progressive pastor friends may think I am vegetarian because of the original commandment from God to Adam and Eve in the garden--“God said, ‘See, I have given you every plant yielding seed that is upon the face of all the earth, and every tree with seed in its fruit; you shall have them for food.” Genesis 1:29. Much to people’s dismay, I wanted to marry someone who was vegetarian. At the time I was vegan, until I was introduced to paneer–indian cheese often served with spinach and an amazing blend of spices. Yum. I became vegetarian because my friend Adrienne shared with me health statistics of cancer rates among those eat meat and those who don’t. The vegans had the lowest rates of cancer, and so I gave up meat and dairy at that time. So that is why I became vegetarian. It’s because of my husband being Indian that I gave up being vegan…the paneer and ghee was just too delicious. 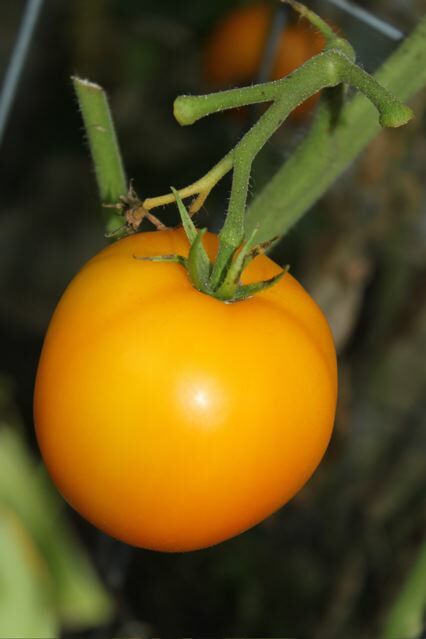 This year I grew many varieties of tomatoes, including this orange one! A better question is why I stayed vegetarian. As I learned how to prepare a vast repertoire of international vegetarian dishes, I craved less and less the dishes of my childhood. When I did crave them, the vegetarian market for protein substitutes worked well with traditional recipes. Then, when I met others who chose to be vegetarian for religious, health, or animal rights reasons, it just seemed to continue to be the right decision for me. Yes, our kids are veggie too. I still believe it is a better health choice overall and I hope that our children are more compassionate and conscious of what they eat because of it.